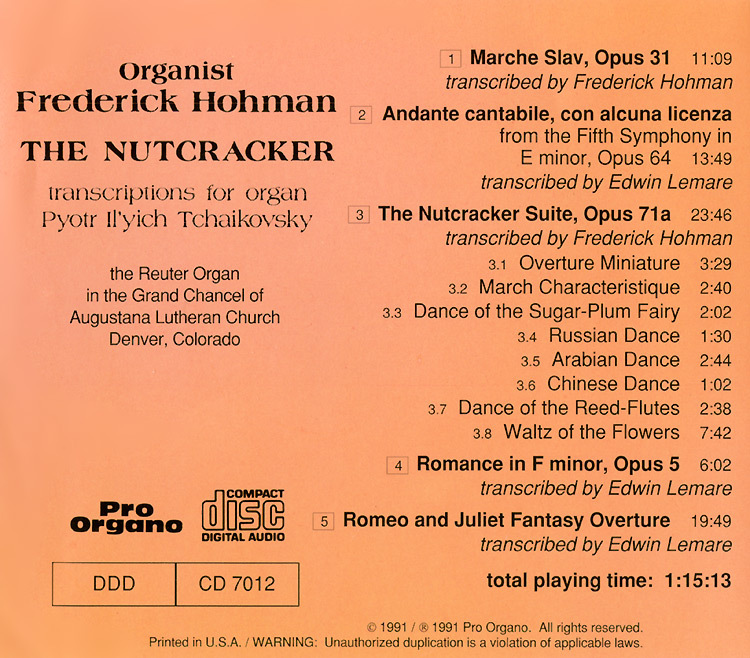 Frederick Hohman plays his Edwin Lemare’s organ transcription of Tchaikovsky’s Romance in F minor, Op 5 in this 1991 recording made on the Reuter organ of Augustana Lutheran Church, Denver, Colorado. 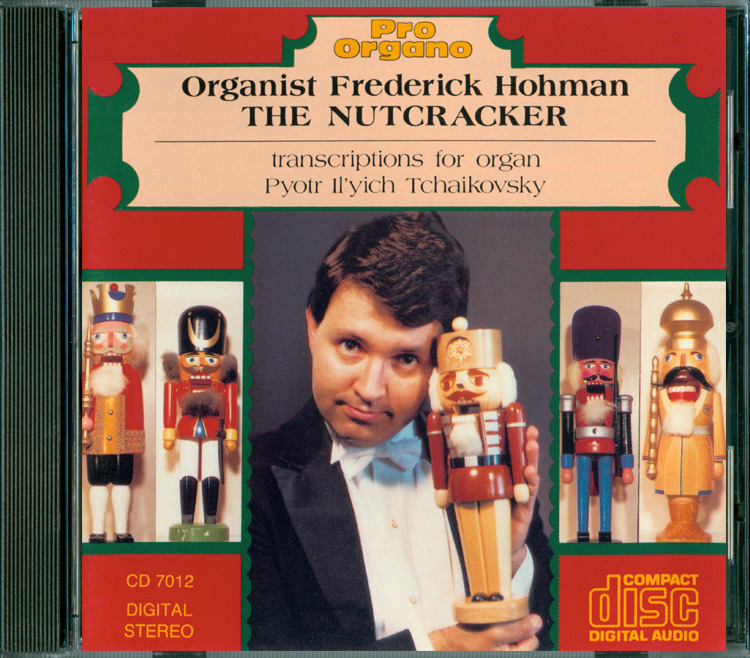 The Diapason … here is the contemporary virtuoso Hohman, who need no introduction as a champion in both classical and transcription fields, posing, perhaps tongue-in-cheek, half in seriousness, on the cover of this CD booklet with a collection of colorful nutcrackers. 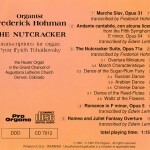 And as I listened to this disc, again I am reminded of how the melding of two elements – of child-like fantasy, or naïveté, and the absolute command of an artist over his instrument – which Dupré so well typified, are again brought together in Hohman’s oeuvre. … This is the first organ CD of any kind which has, over several weeks residing in my music room, captivated and held the attention of adults, pre-schoolers and the ever-illusive teenager! For whatever the magic is that this CD possesses, I cannot recommend it too highly. It brings a little Christmas regardless of the time of year it is played.